La Maison de la Cour de la Paroisse de Lafayette / Lafayette Parish Court House. The commercial building on the corner, 202 West Main Street, appears in the will of Jean Seris in 1854, but it was possibly build before that. The succession described in that will was part of the original lots surveyed and sold by the founder of Vermilionville, Jean Mouton. 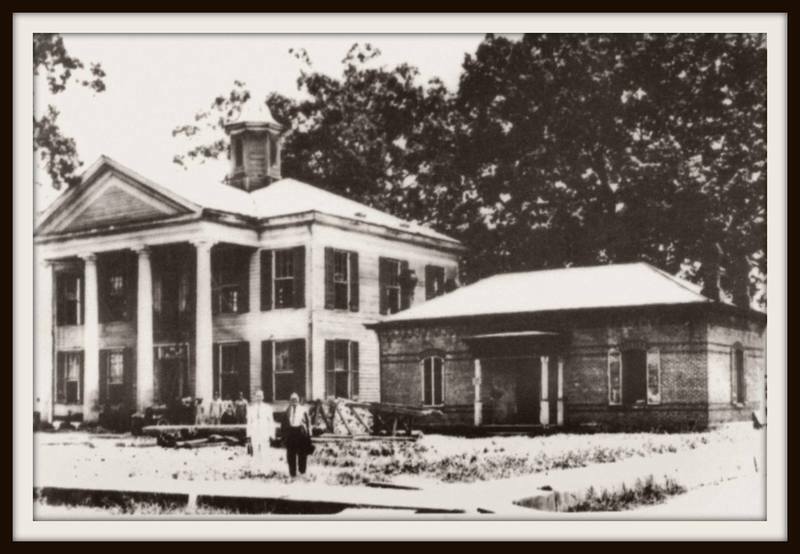 During Reconstruction it was the headquarters of Yankee “carpet baggers” before they were ousted in 1868 by the “Vermilionville White League” who in turn, used this building as their own head office. Next to the building in the 1880s was Vigneaux Livery Stable. In 1902, there was another livery yard bordering the building’s west side: Constantin’s Livery Stable. 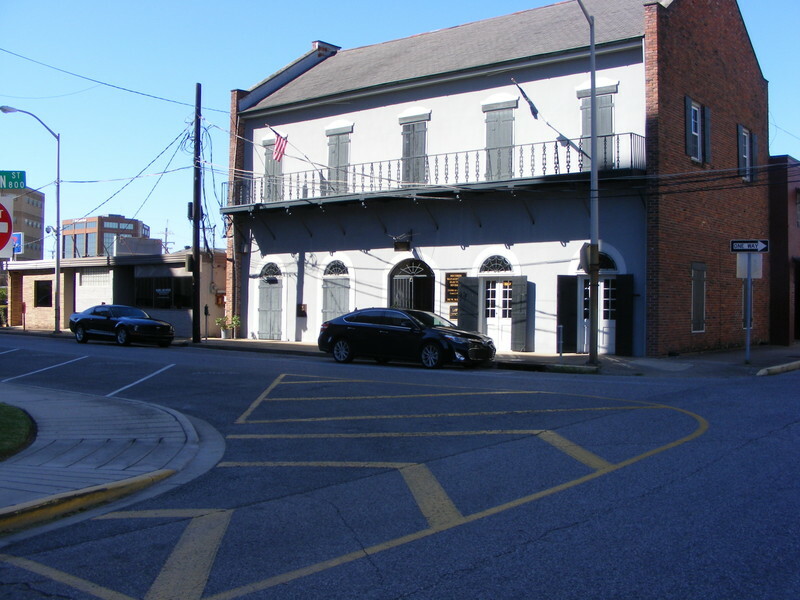 It was common in Louisiana to have stables located near parish court house squares. In the 1980s, 202 West Main Street was the office of Congressman Jim Hayes. It is it now the law offices of Fred Hayes, James Simon and Daniel Landry III. 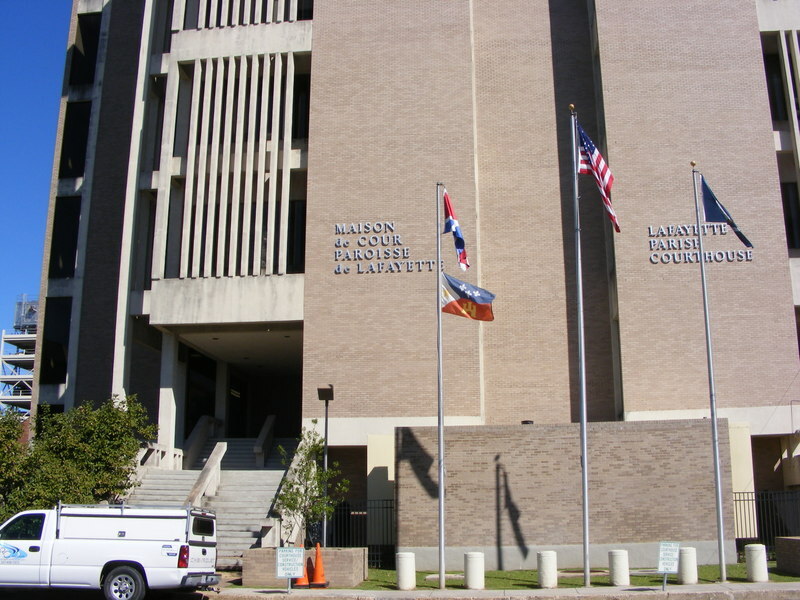 The Lafayette Parish Court House, or Maison de la Cour de la Paroisse de Lafayette, was built in the 1965. 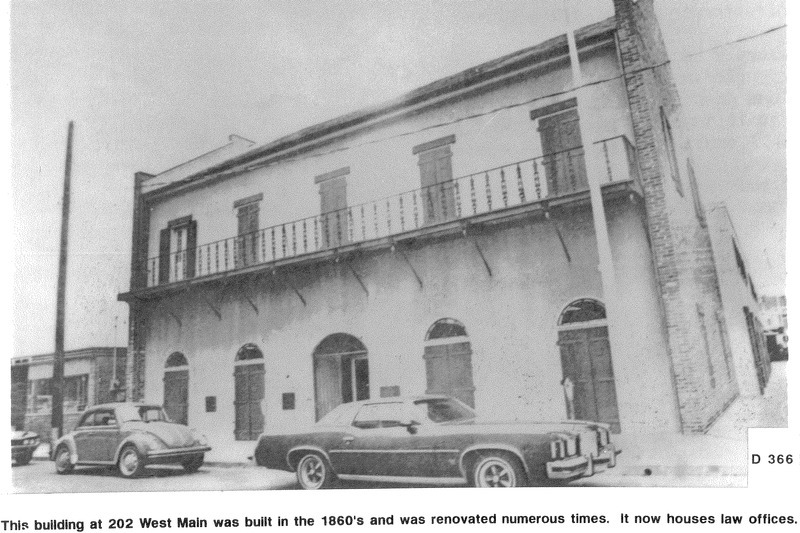 On the first two floors can be seen former Clerk of Court Dan Guillot’s photograph collection of old Lafayette. This impressive collection is maintained by present Clerk of Court, Louis Perret. Crossing the square to the other side of the Lafayette Parish Courthouse is the CODOFIL building.